The Seton Hall women’s basketball team (14-8 Overall, 6-5 Big East) will be on the road this weekend, beginning Friday night in Providence, Rhode Island. The Pirates will play the Providence Friars (13-10 Overall, 5-6 Big East) in Alumni Hall. The Pirates want to recreate the success they manufactured in the 83-62 win against Butler last Sunday in Walsh Gymnasium. Despite Butler capturing more offensive rebounds than the Pirates, 13-11, Seton Hall managed to limit the Bulldogs’ leading scorer, Whitney Jennings, to 10 points. The Hall held Butler to 43.1% from the field and a 21.1% from distance. On the offensive side of the game, the Pirates had three players with double-digit scoring figures. Those Players were Shadeen Samuels (27 points), Inja Butina (21 points), and Kaela Hilaire (15 points). Samuels produced a double-double with her 27 points and 10 rebounds. In 19 minutes of action for Desiree Elmore, the sophomore forward secured nine boards and contributed six points. Seton Hall shot 42.1% on the afternoon and 34.5% from beyond the arc. The victory against Butler improved the Pirates’ Big East record to 6-5, and the team now sits at the fourth seed in the conference. Their opponent on Friday night, Providence, is the sixth-ranked team in the Big East with a 5-6 conference record. In the Friars’ last game against Georgetown on Sunday in Washington, D.C., Providence fell to the Hoyas 61-56. The top three scorers for Providence, Maddie Jolin, Jovana Nogic, and Mary Baskerville had 10 points each. Baskerville had a double-double with 15 rebounds, on top of her 10 points. Georgetown outrebounded the Friars 43-38 and limited Providence’s shooting to 37.1%. This season, Providence is a team that averages 62.3 points-per-game and gives up 61.2 points-per-game to their opponents. They shoot 40.5% from the field as a team and average 22.4 field goals per game. In the last game between Seton Hall and Providence on January 13th, the Pirates held off the Friars for a 79-73 home victory. Samuels and Nicole Jimenez scored 19 points each and Butina added 11 points to the stat sheet. For Providence, Kaela Webb led the team in scoring with 16 points in 25 minutes on the floor. Under coach Bozzella, Seton Hall is 4-1 when playing at Providence. Having a successful road trip this weekend would help Seton Hall in the Big East standings and improve their current 2-5 away record this season. 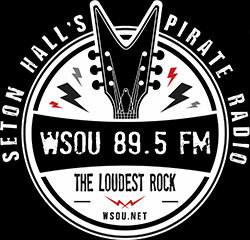 89.5 FM WSOU will have wall-to-wall coverage of Friday night’s contest starting at 6:45 p.m. Wilnir Louis and Rich Behan will handle the pregame show, while Bob Towey and Matt Ambrose will be calling the game from Alumni Hall.